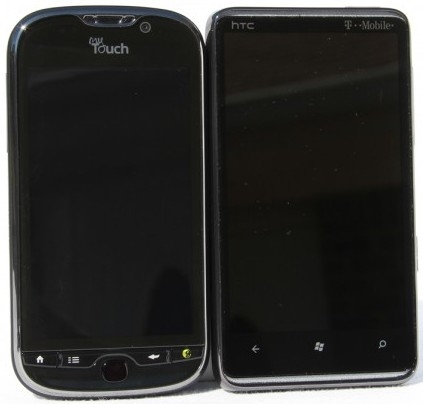 Leckness Launches Super Smartphone Showdown: MyTouch 4G or HD7! "Without a doubt, the myTouch 4G would be my choice if I actually had to choose between the two. I don't have to choose though. I intend to use them both. I want to watch how Windows Phone 7 progresses and need to have a Windows Phone 7 device to be able to follow along with the progress. I am going to retire my Zune 120 and use the HD7 as my Zune...I am going to use the myTouch 4G as my daily driver." Chris Leckness over at Gotta Be Mobile has an interesting piece up discussing the battle for his SIM card - pitting two of the hottest phones out right now against each other. In the end he finds a nice compromise in this very comprehensive piece discussing both phones. Check it out and see what you'd want. As for me... Well, I'm thinking maybe a T-Mobile G2 and a MyTouch 4G might have to join my HTC HD7 just so I can fully compare all 3 of them!